vesuvius Wrote: 3rd Strike never came to my country, unfortunately. Like you I am mostly a Tekken man, but 7 was kind of a letdown to me. I still have Soul Calibur 2, Tekken 5, Marvel vs Capcom 2 on the PS2. I also have Tekken 2 for the PS1. Im glad I kept them. Do you play RPGS or did you play them in the past? I love RPGs. I grew up playing the Final Fantasy games, Secret of Mana, Breath of Fire games, and a couple of JRPGs. Last year I played Final Fantasy 15 and Persona 5. I love them both but I prefer Persona 5 over the two. I bet you love JRPGs as well. I have played FF6. I have finished these. I never played the Digital Devil Saga games and Shin Megami Tensei Nocturne but I finished the games I have mentioned. The games that I played but didn't finished are Diseaga 3, Diseaga 4, Phantasy Star 2, any of the Ys games and Final Fantasy Tactics Advance. A must play. Includes one of the best soundtracks I've ever heard in a game. The game changes every time you complete it. iramaj Wrote: A must play. Includes one of the best soundtracks I've ever heard in a game. The game changes every time you complete it. Nah, that's not what happens, what happens is that each "ending" (well the first 4 ones) are just building blocks to the real ending, which is E. They probably should have called them something else, but it's a Yoko Taro thing. Overall it was among my top 3 games of 2017. My top 3 was Horizon Zero Dawn, Nier Automata and Persona 5. 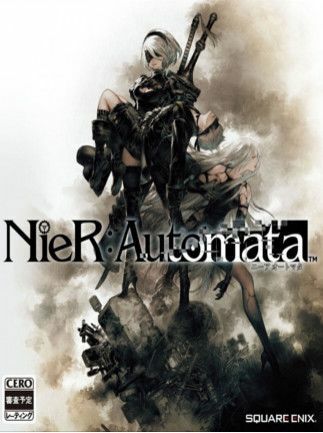 I always want to play Nier but never got the chance. I was too busy trying to beat Persona 5.
iramaj Wrote: :lol: WTF It's a whole new game. Which we already know the overall out come. They should have continued the sons story or done something else... Just my opinion if that's alright with you. Yeah, but that's not remotely the same. That is not a completion. That's just playing chapters. That's why people get confused when they hear about the "endings" thing. vesuvius Wrote: Squatch, what are you playing right now? I got my PS2 out and started re-playing Zone of the Enders 2. I'm playing mostly my Dreamcast games. I used to have a PS4 but I have to sell it for extra cash. I'm mostly a fighting game fan. So games like Marvel vs Capcom 2, Street Fighter III 3rd Strike, Project Justice, and Soul Calibur 1. If you need money, selling your dreamcast collection might get you more money. I sold my Dreamcast collection last year, and I got close to $150 for Project Justice alone.